The Takamine EC-132C Classical Guitar | Gear Acquisition Syndrome!! 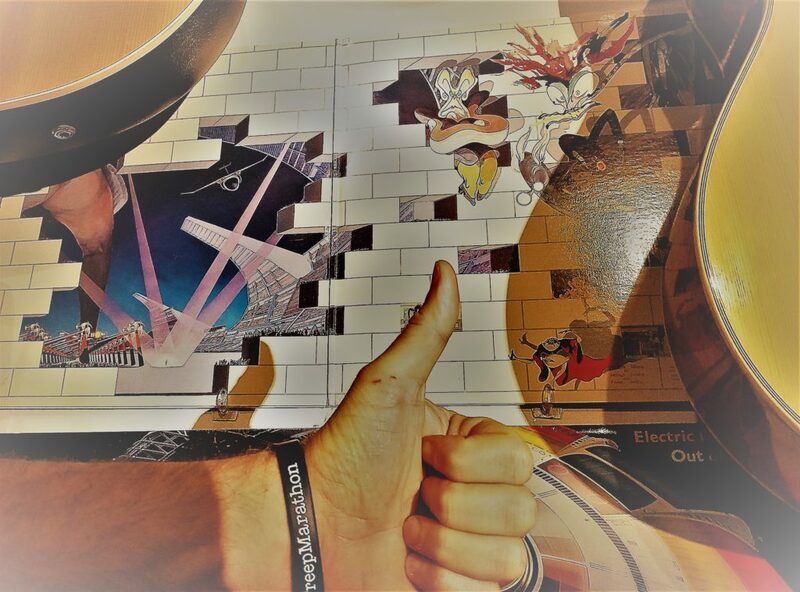 The first time I knew I had to have a classical guitar, I was listening to Pink Floyd’s “The Wall”. I played it incessantly (through headphones, of course! ), and with all the lights off except for the dim glow of the stereo dial. It was magic! Love that Gilmour classical guitar!! The song “Goodbye Blue Sky” was mesmerizing to me. That gentle, centuries-honored sound of a classical, played expertly by David Gilmour, just drew me in! So the fact that I ended up with a Takamine EC132C Classical Guitar is no accident. I needed a great classical guitar so I could do those songs myself! Nylon strings are sometimes just the ticket, when a steel string guitar is just a little too brazen for the song at hand. That last one, of course, was like the cherry on top of the sundae, Eddie blew all of our minds with that one. And it was also the hardest song I’d ever learned up to that point. We’re talkin’ major woodsheddin’ to get that one down!! Heck, because of my French class in college, I even studied the classical songs of “The Singing Nun”, a French musician who actually had a hit here in the States called “Dominique” (to my knowledge the only French song ever to make U.S. radio). Whatever peaks your interest about the Takamine classical, there’re worlds of musical options to discover that this guitar can bring to life, with panache, class and captivating depth. Let’s see what makes her so special, shall we?! In the town of Sakashita, at the foot of towering Mount Takamine in central Japan, a small family-run instrument workshop opened in 1959 that would later take the world by storm. Whatever they’re doing, they must be doing it right – the number of their guitars selling is rising higher than ever. Check out their whole line of acoustic & classical guitars on THEIR WEBSITE HERE to see examples of why. I, for one, can give you a personal reason why: my Takamine classical guitar has never let me down in any way, after 20 years of being under my fingers, on many stages, many times. That kind of quality and longevity just doesn’t happen. It’s designed, and meticulously executed, by craft-savvy artisans who, day after day, apply their skills to make sound history. Now let’s see how they set up a particular guitar’s history… mine! Got a Show?? Play a Pro! 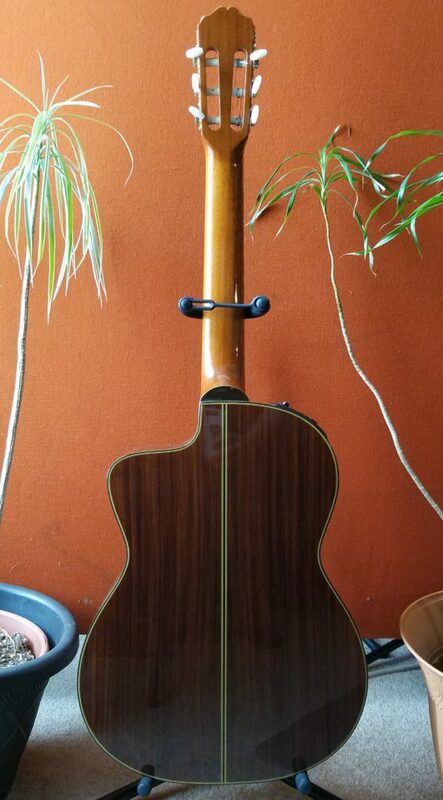 The Takamine EC-132C is part of their “Pro Series“, and it shows. My own pick of this model was created in Japan in January of 1998, the same year I bought it new at Guitar Center. Pimenny, our cat, is a big fan of the EC132C! It was the 905th guitar made that month, according to the serial number which is always found on a badge on the neck block inside the instrument. If you look just below the truss rod adjustment port you’ll see it. The strings are made of nylon, not steel. They’re much softer so the guitar sounds gentler. All strings are tied, using knots, to the bridge. No strings have a ball end, like on a steel-stringed guitar. Classicals tend to all look about the same: simple and elegant with all the attention on the sound of the instrument. This model does sport a beautifully-detailed rosette around the sound hole though, so there’s at least some hint of ‘fashion’. Oh, and the tuners all have gold trim, so, yea, that looks pretty sweet too. Since there’s nothing like actually hearing an instrument you’ve got serious G.A.S. for, we thought we’d make your sickness even worse by showing exactly how this girl struts her classy stuff in the studio today. 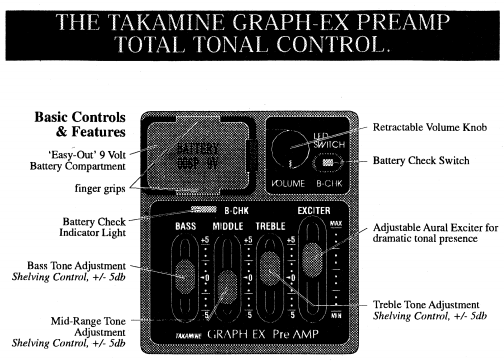 As usual, I recorded the Takamine with five mics, plus a D.I. You’ll hear all five mics, panned as seen below, in the video recording. The D.I., also as usual, didn’t make the cut. It just doesn’t sound at all as wonderful as this guitar’s natural, “in-the-air” sound. The only processing I put on this recording is a little plate reverb to glue all the mic signals together. Otherwise, you’re hearing just the Takamine in all her glory. And that’s the point, isn’t it? Alright, well, if you’re ready… just sit back, put on your headphones and enjoy this gentle ride. But a word of caution – you may need a handkerchief to wipe the sweat from your brow. Once a classical nips at your heart…you’re never the same again. With all the restrictions that are placed on Rosewood these days, I feel extremely lucky to have a guitar that’s made with so much of it. East Indian Rosewood, which is beautiful and toneworthy. Brazilian Rosewood is considered the top of the line, but it’s almost impossible to get that wood because of trade restrictions. It was harvested from trees that fell over naturally. In both cases you’ll need a certificate of provenance to prove you didn’t snag it illegally, and those are not easy to come by! Get the whole story IN THIS ARTICLE. The reason Rosewood is so desirable, for back and sides specifically, is because it’s a hard & dense wood that reflects sound very well – which is of course the most important duty of those pieces on a guitar. A solid rosewood back, especially, really projects and enhances the sonic brilliance of any guitar. Rosewood characteristically helps produce a clear, crisp, ringing tone. The Spruce top on this classical guitar is no slouch either though. It’s often what you find as the top soundboard for high-end (read “high price tag”) boutique guitars. THIS “MIKE FRANKS” HANDMADE STEEL-STRING ACOUSTIC that I had made according to my specifications, for example, has an Adirondack Spruce top. It sounds perfect to me, in every way. A clear, strong, well-balanced voice, with plenty of dynamic range. The neck on this beauty is mahogany, and features a dual action truss rod. This is handy for making sure the guitar plays perfectly in any environment, tho’ I’m quick to say… I’ve never needed to adjust it once for playability reasons. Not ever. Twenty years later, it still sounds, and plays, like only dream wood can! 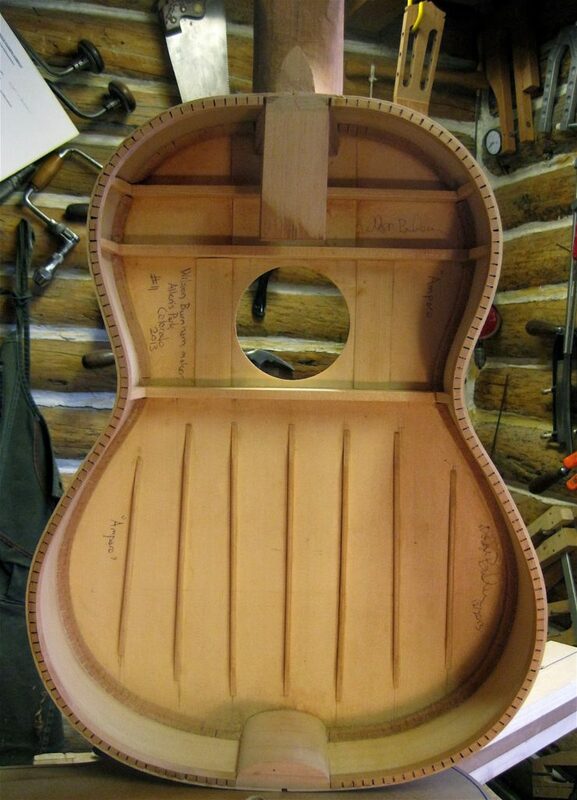 Parallel bracing under the soundhole. Every great guitar starts with a great, resonant design. Since acoustic guitars have been around for a few hundred years now, there’s a pretty clear consensus of what is necessary to make one that offers excellent frequency response and impressive dynamic content. One of the most important ways they stayed true to his design is that they incorporate “parallel fan bracing” into the guitar (where the struts run in the same direction as the strings), rather than “ladder bracing” (which uses braces perpendicular to the strings). 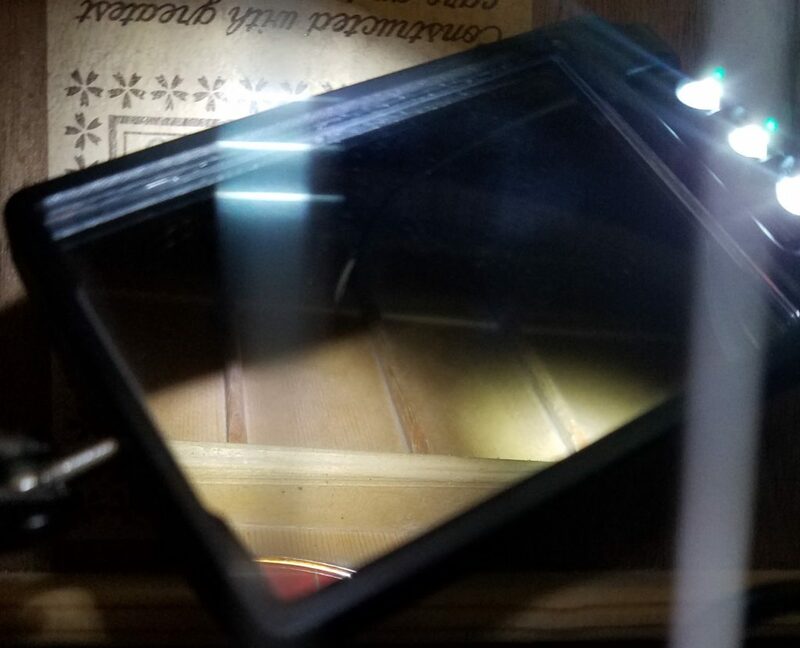 Where the wooden struts are placed, and how, under the soundboard of a guitar, are crucial to an instrument producing a pleasing sound and being able to reproduce the frequency spectrum evenly, or at least pleasantly. Going with the tried and true layout of a historically-respected master luthier is one obvious reason why this classical guitar has been a best-seller for decades. My Takamine uses SIX vertical struts under the soundhole. I dove my guitar mirror down inside my Takamine to see the exact strut layout. You can see in the picture to the right what I found: struts running parallel to the strings. This is a derivation of true fan bracing, where the struts sweep in an arc, like a peacock tail. The picture above, showing “parallel bracing”, is exactly how the struts are placed in mine, the exception being there’s only SIX struts there instead of seven. 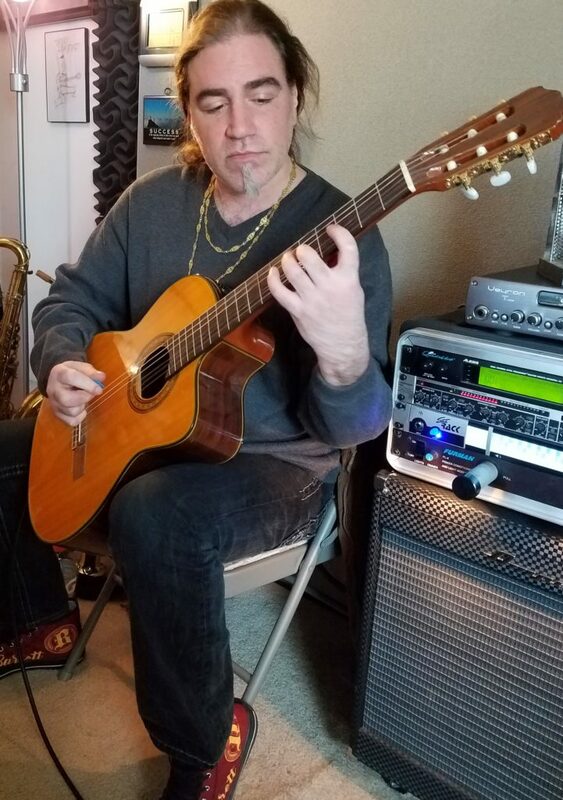 All that to say Takamine has obviously kept to the truism “if it ain’t broke, don’t fix it.” This guitar has consistently put out excellent sound, and thus wonderful music, and that is why it’s been a successful product for them for decades. The EC132C was made, virtually unchanged, for over two decades now. That kind of longevity without any modification is a true testament to its craftsmanship and popularity. Most classical guitars are made to be played with no amplification built in. 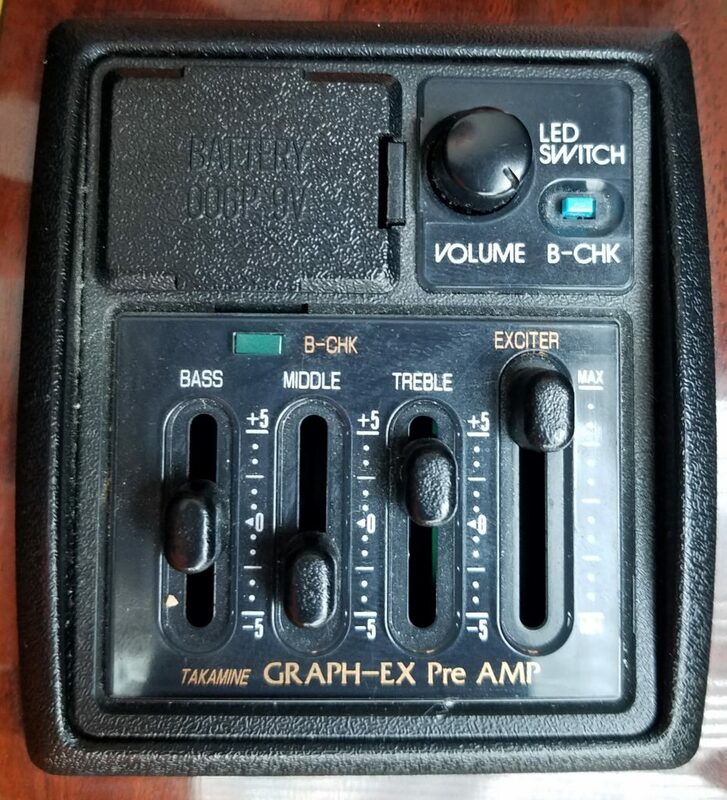 The EC-132C, however, does have electronics on board, called the “Graph-EX preamp”, and it has worked flawlessly for me right up to today. 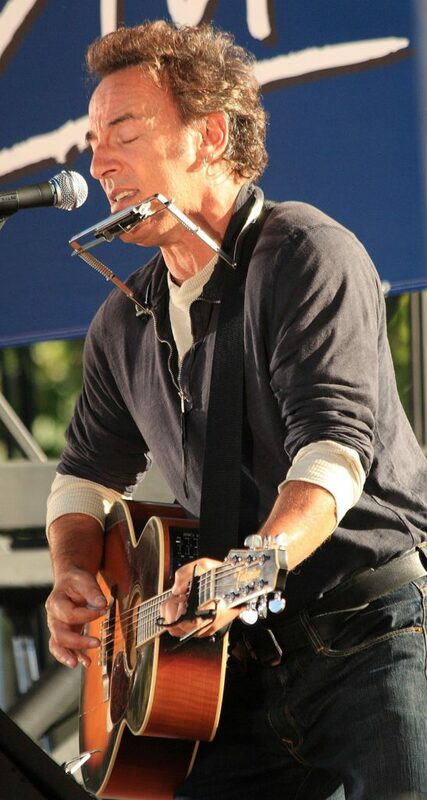 Since I perform a lot live, I knew I’d need an electric-acoustic, not just a great “body sound” for mics. That’s not to say that I like the sound of its electronics. I actually don’t. This guitar only sounds truly warm and alive to me when it’s mic’ed up and its ambient clarity is captured via a nice large-condenser mic capsule. Now, I’ve used this guitar live many times, and most times I’ve just plugged into the electronics. That’s because it’s almost always what the sound person prefers. By plugging in, they don’t have to deal with feedback. Plus, back at the soundboard, they can give it a good going over with their channel EQ to make it sound better than what’s coming straight out of my preamp. These days, however, the preamp has changed. If you buy one of these today you’ll get the “CoolTube (CTP-3)” preamp. I’ve heard that it’s better than mine, and I’m not surprised – it’s twenty years younger!! 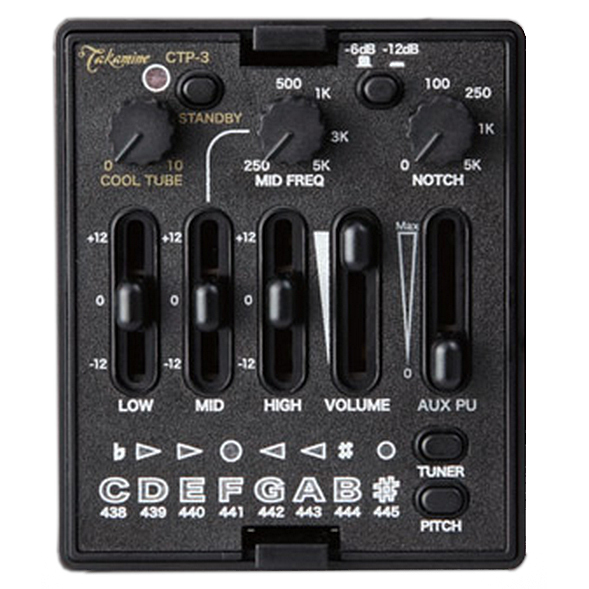 Takamine’s latest electronics – the CoolTube!! This “Cool Tube” preamp actually uses a real low-voltage vacuum tube in the gain stage that warms up the sound quite a lot, and it’s got its own knob so you can judiciously sculpt just the right sound with just a few twists of your fingers. A nice feature of these “Cool Tube” electronics is that it includes a second pickup port, ready to go, in case you want to add another guitar pickup, like a soundhole pickup or a top-plate transducer. 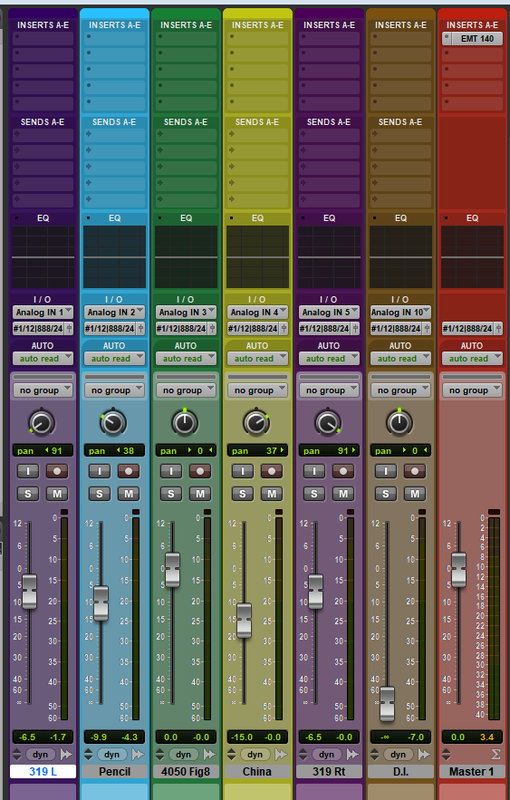 You can then blend this 2nd pickup in with the on-board electronics for a much more, complex and varied tonal spectrum. I would definitely do this, as it would be similar to what my favorite songwriter, Bruce Cockburn, uses in his internal setup. Other acoustic masters like James Taylor & Paul Simon do similar things as well. The other really cool thing (I wish I had this on mine!) is the Pitch button, which provides an overall pitch adjustment for the tuner. It allows you to offset the pitch center of the open strings buy a few cents up or down. This is fantastic if you have to play with an actual piano! They can often be just a little bit out of tune… usually flat. Given this, the ability to program the on-board tuner to coincide with that dip in tuning is extremely helpful when playing live. One big reason I chose this specific model is because I wanted the cutaway profile high on the neck. I often like to play above the 12th fret, so I need the access that a cutaway provides. It makes all the difference when you’re trying to get all your fingers moving fast in those tight, small frets up there! Whether you’re constructing chords, or swimming fast and furious just above the soundhole diving board, having this cutaway for your hand comes in so… well, HANDY. In fact, at least half the guitars that I own all have this cutaway design. I also appreciate this style of cutaway. It’s more like a flat cliff ledge, which means I’ve got nothing hitting the back of my hand when I’m up there. Some other guitars have a lot more of a “horn” there, even though it’s scooped out, and you end up hitting the back of your hand on it. I like Takamine’s take on this much better. No GPS for This Guit’-Trip! 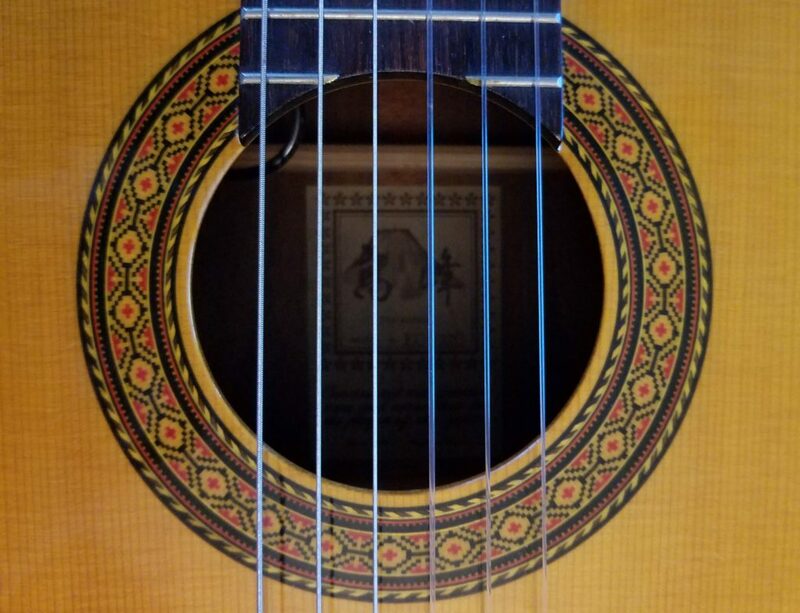 One trippy little thing that you have to know about most classical guitars is that they do not provide (typically) any fret markers of any kind. No circles, bars or birds line the fretboard, and no dots are there to help you know your location or position on the neck. Because of this, if you’re a beginner you may find playing a guitar like this more difficult. There’ll be no “cheat dots” to help you know where you are. Add to that the fact that a classical neck is much wider than a steel-string guitar (51mm instead of the slimmer 42mm! ), And you got what could that mean some serious challenges to your guitar chops! Once you’ve practiced enough though, and put enough years of playing guitar behind you that neck positions are easily familiar and you don’t even have to look at the neck when you play, then a guitar like this is a beautiful thing. My good friend and sometimes contributing author here at Seriousgas.com, Sean Barrett, knows this all too well. He’s once placed second in an international classical guitar competition and is VERY well-acquainted with any & all guitar necks. No dots needed!! Like anything, it’s all a matter of practice. Just know going into it though that these differences are present and, depending on your experience, they will affect your technique and overall approach to finger positioning. A Bob Dylan of Guitars! Finally, let me talk a little bit about why I like having a classical guitar, regardless of what brand it is. A classical guitar can bring extraordinary emotion and depth to musical storytelling. This is how I like to use it most of the time. It’s like having a Bob Dylan in a box – it lends itself so expertly to weaving an interweaving a storyline that captivates and draws in any ear that happens to listen! The sound of a classical guitar is very human… very organic-sounding. It intensifies and brings to life narrative lyric writing like no other instrument except piano. If you’ve got a great story to tell, with intriguing characters, engrossing action and unpredictable plot, consider performing it on a classical guitar. It just might make the song more attractive to the average listener. 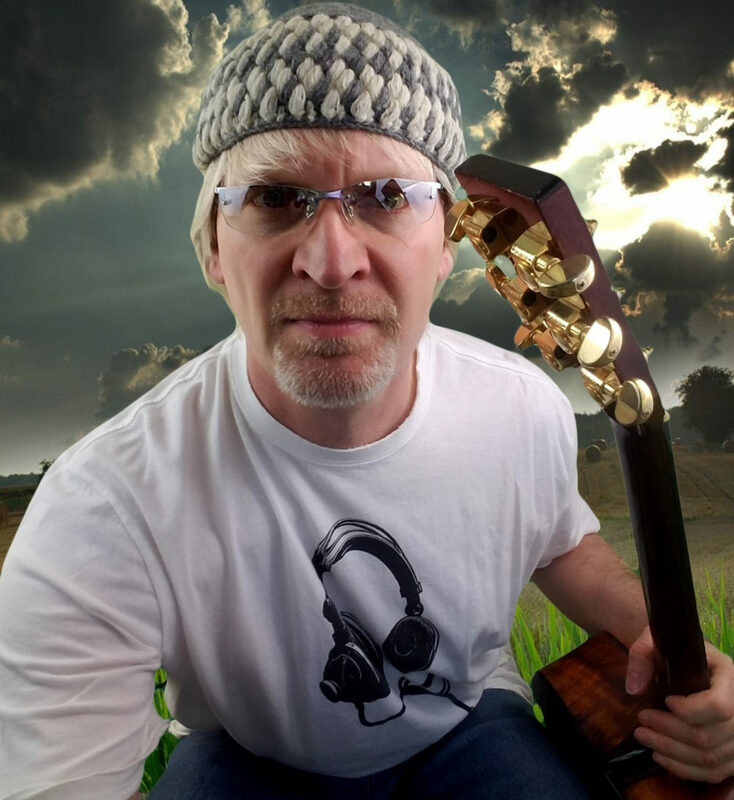 I’ve written many songs on classical, and I consider them among my best – I perform them consistently in my solo gigs, where I sing forth word-films and lyric-pictures to the audience, accompanied by my favorite axes… of which the Takamine is always one. To give you some idea of its power, take a listen to a couple of my favorite classical songs below. I find them magnetically captivating. That Afro-Cuban piece is the bomb, isn’t it?! Can’t wait to learn it!! My Takamine has inspired me over the years though to write many of my own lullabies and story songs. I’m sure you’ll find the same to be true when you have a good instrument like this on your lap. I find it enlivens the imagination, with enveloping harmonic richness that can only positively inspire your songwriting! 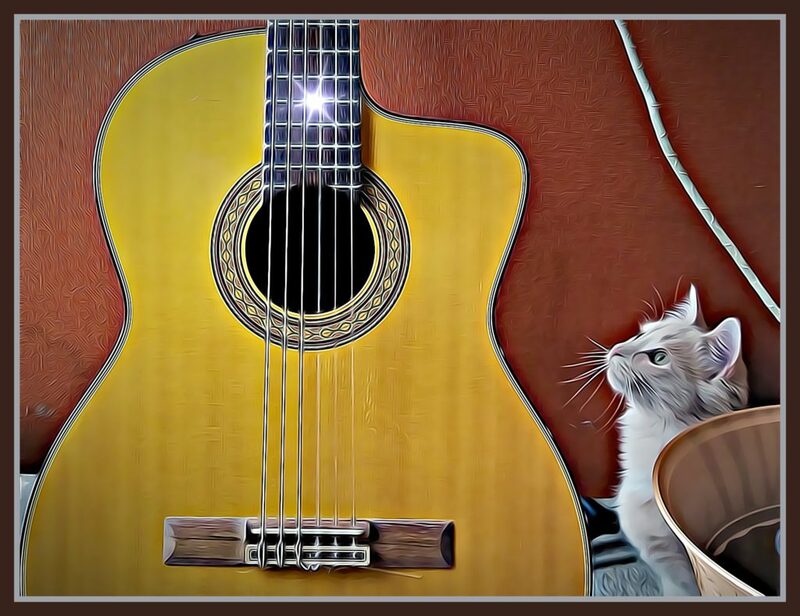 If you’re a performing musician who needs a smooth, calming sound for Latin, jazz, classical or even folk/pop, a classical guitar can be just the temperate ticket. And if that gentle sound needs to be amplified, say, above other louder instruments like electric guitar, drums, bass and the like, the Takamine EC-132C Classical Guitar has been an up-front winner in classic tone for decades! Now, the true successor to the EC that I have, according to Tom from Takamine, is the TC132SC. It priced in the middle of the three I’ll list here. It looks, and probably sounds, a lot like mine, but it does have a Cedar top, not the Spruce top like mine. 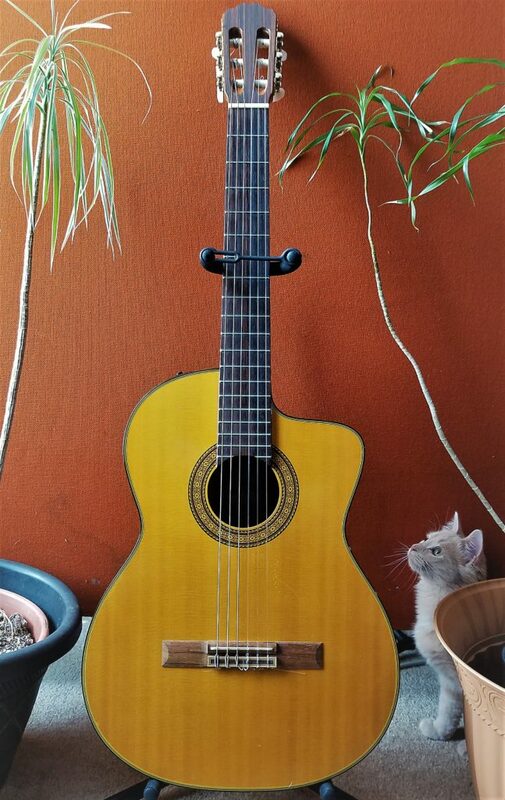 If you join me and Pimenny our cat in taking on a Takamine classical, tell us all about it in the Comments. It helps others who are weighing this guitar and ones like it as potential additions to their sound arsenal. Or maybe you already own one?! Tell us about that as well. After all, it’s pretty clear all we do all day is talk about music gear here, so… you’re in good company!! Now, go… make… (classical!) sounds! !